One of the best ways to spread the word about your company is to publish a monthly newsletter via the web chronicling what you’re up to. But often you’re too busy running your company, and with limited staff resources, you simply haven’t found the time yet to do this. Because the team at Alec Lom Events & Communications are experienced journalists, we have the skills to create such a newsletter for you, and we’ve also got a keen eye for a story. Firstly, we’ll discuss with you precisely what you might achieve by publishing a newsletter – perhaps to promote a new product, a forthcoming event, or generally to raise your profile. With your permission, we’ll talk to you and your team about current activities, future plans and projects. All our discussions will be remain confidential. We’ll work out a schedule, then draft a newsletter featuring various stories of interest your clients, stakeholders and the general public. 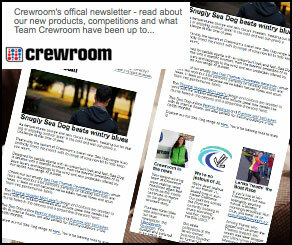 We can also send your newsletter to the media, which often generates positive coverage. We work fast, efficiently, and with discretion. We place you and your company’s best interests at the heart of what we write and the way we write it. Nothing will ever be published without your approval and ‘sign-off’. It is your newsletter. Especially if they’re illustrated with interesting pictures, newsletters provide an excellent opportunity to add another ‘shop window’ to all the best aspects of your company and brand. Please feel free to discuss this option with us any time.